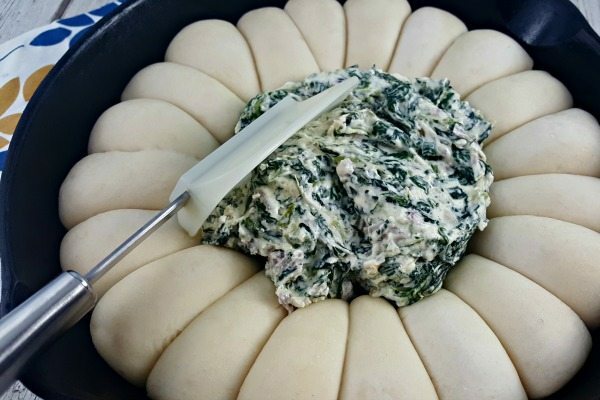 Cheesey Spinach Dip with Garlic Roll Dippers will have your guests raving about your party! 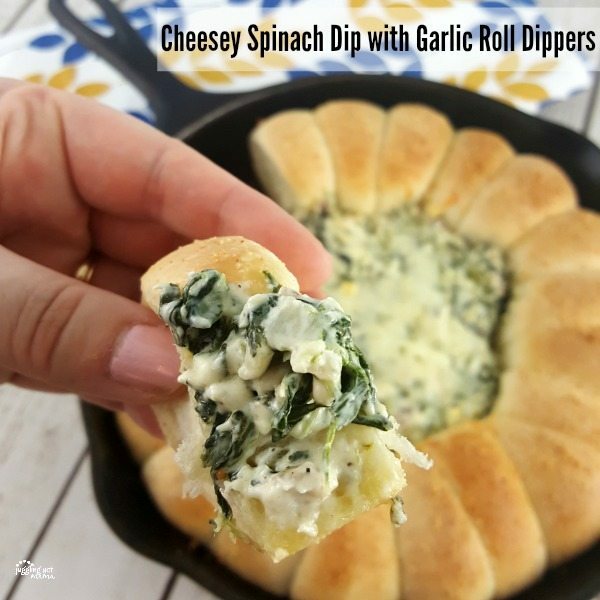 I adore a good spinach dip, which inspired me to make this simple but delicious Cheesey Spinach Dip with Garlic Rolls Dippers – it’s just as scrumptious as it sounds! 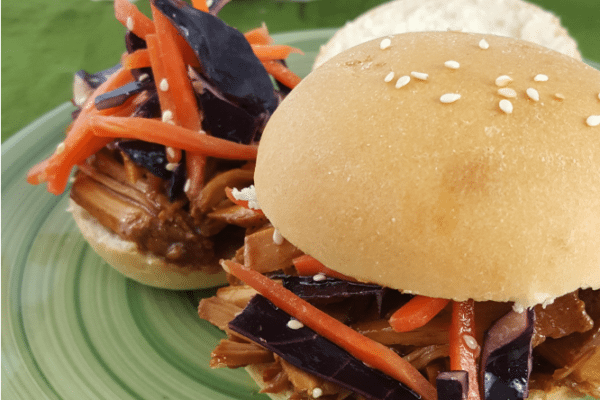 I like easy entertaining, which is why this recipe is perfect. You can make the spinach dip ahead of time and have everything ready to go. 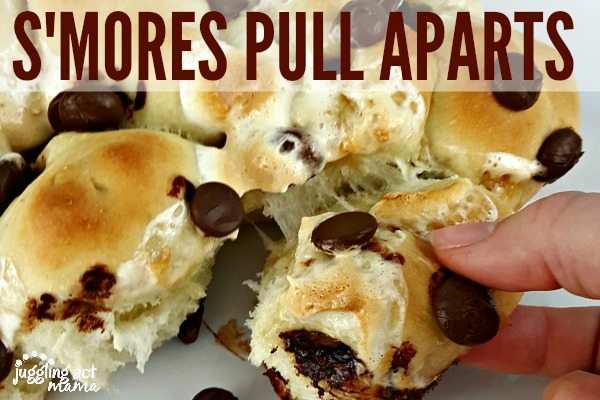 Pop it in the oven and then you’ll pull out this impressive appetizer that is irresistible. I love using Rhodes frozen dough because it’s just so easy to create really yummy and impressive looking recipes without a whole lot of fuss. 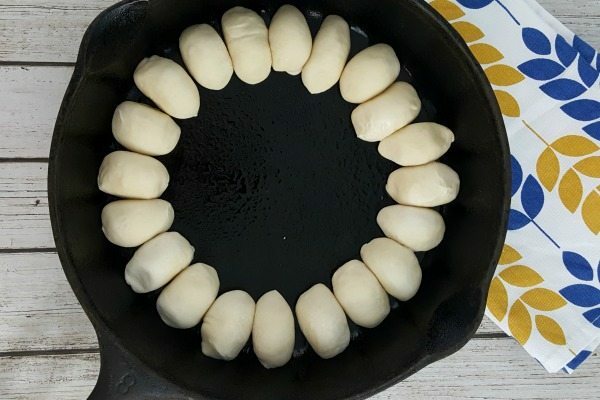 Preheat the oven to 400-degrees F. Grease a 10″ cast iron skillet and set the frozen dough on their sides. Let thaw for 1-2 hours. 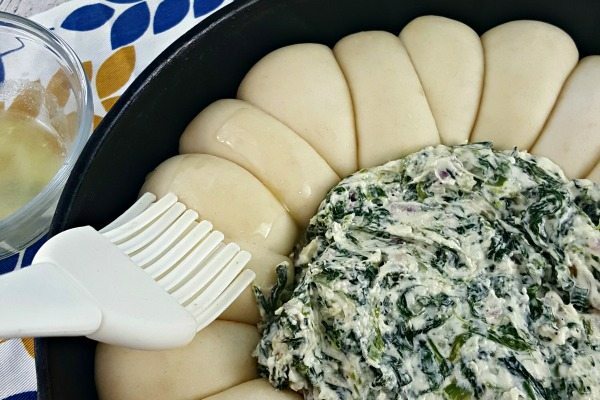 Meanwhile, make the spinach dip by combining the cream cheese and sour cream in the bowl of an electric mixer fitted with a paddle attachment. Beat until creamy. In another skillet, melt 1 tablespoon of butter and cook the onion for 2-3 minutes on medium heat until them begin to soften. Add the garlic and cook 1-2 minutes more. Add to the dip mixture. Remove from the stand mixer and add in half of each of the mozzarella and cheddar cheeses, and the baby spinach. Season with salt and pepper to taste. Using a spoonula, fold all the ingredients together until combined. Brush the tops of the rolls with melted butter and sprinkle on the granulated garlic, and kosher salt to taste. 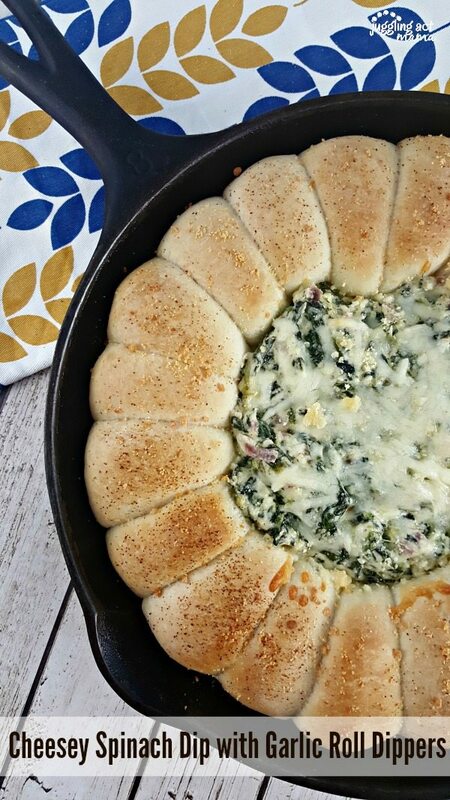 Top the spinach dip with the remaining mozzarella and cheddar cheeses. Sprinkle the Parmesan cheese over the top of the rolls and dip. 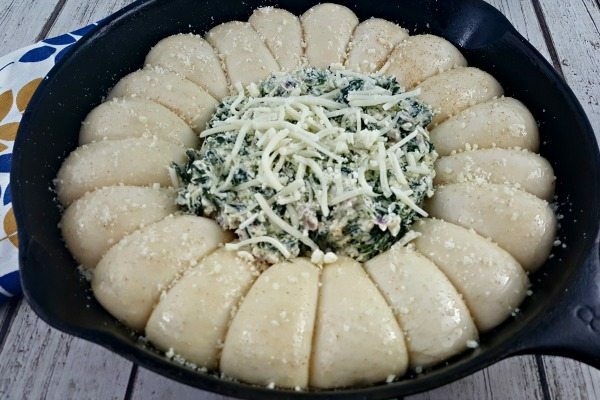 Bake for 18-22 minutes until the rolls are golden brown, the spinach dip is hot and bubbly, and the cheese is melted. Serve hot. Pinning! Thanks for the recipe! Yum! 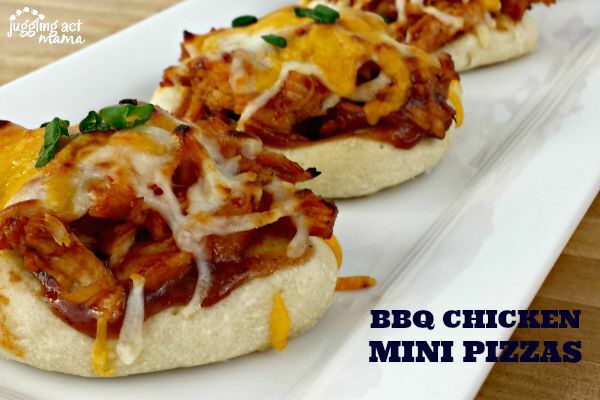 This is perfect for game day! Made this last night and my roommates loved it! I think this is my new favorite dip, thanks for the recipe! !